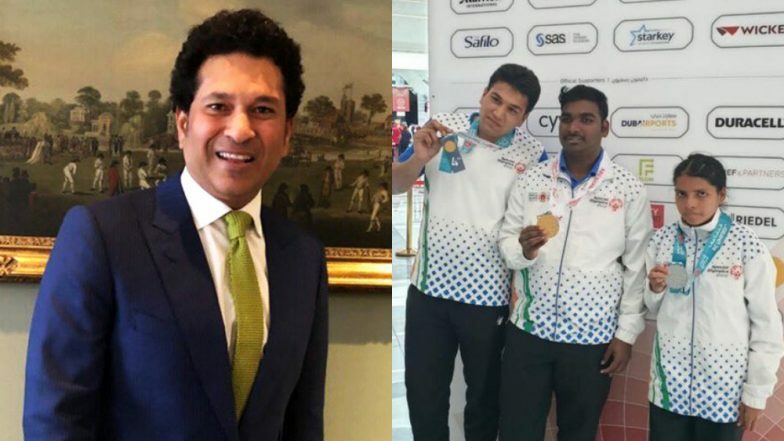 Batting legend Sachin Tendulkar has congratulated Indian contingent and support staff for winning 368 medals at the recently concluded Special Olympics World Summer Games 2019 at Abu Dhabi in the United Arab Emirates (UAE). Team India bagged 368 medals, which included 85 gold, 145 silver, and 129 bronze medals at the Special Olympics 2019 which was held from March 14 to March 21. Special Olympics 2019 Medal Tally: India Finish With Impressive 368 Medals. Tendulkar took to Twitter and congratulated special Indian athletes for their phenomenal achievement at the World Summer Games. “Special people do special things. Congratulations to all the athletes and the support staff of #TeamIndia on winning a staggering 368 medals at the @WorldGamesAD,” wrote Tendulkar. 284 athletes formed the Indian contingent at the Special Olympics 2019. While the maximum number of medals for India came in powerlifting, the Indian athletes secured medals in other sports like athletics, golf, volleyball, aquatics, cycling, judo, table tennis, roller skating, badminton, basketball traditional, handball traditional and football 7-side female as well. World Summer Games 2019: Women Cyclist Manimeghlai and Shruti Shine by Winning Gold and Silver for India. Special people do special things. Congratulations to all the athletes and the support staff of #TeamIndia on winning a staggering 368 medals 🏅at the @WorldGamesAD. In Roller Skating India collected 49 medals, in cycling 45 medals and in track and field events, the country won 39 medals. At the closing ceremony, the UAE athletes handed over the flag of the Special Olympics to their counterparts from Sweden, who will host the Special Olympics in 2021.